It’s Official. My First Release is coming out soon! For almost a year now, I’ve had a secret I’ve nervously guarded, in the same way women used to say nothing about being pregnant in the first few months. I think the silence is because so many things can go wrong and the possibility of having to explain a lose while still dealing with shattered hopes made me want to be absolutely certain before posting my news. Well, it’s time. 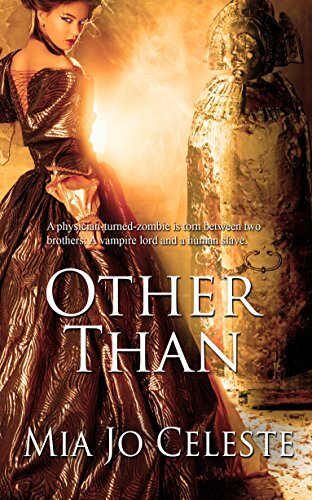 Other Than, an extreme Gothic romance I wrote, is going to be published January 2017 by The Wild Rose Press. I’m thrilled with the cover Deb Taylor designed. I asked her to show my heroine facing off evil in a to-die-for dress and she gave just that. I hope you’ll agree. I’d also like my sisters in the Romance Writers of America for their many suggestions, the online loop classes and the encouragement they’ve shared. Also, I appreciate the e-medallion From the Heart Romance Writers gave me to commemorate Other Than ’s release. As always, I appreciate your interest. Thanks for letting me share this with you.